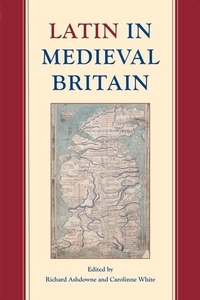 The essays in this volume were presented at a conference celebrating the completion of the Dictionary of Medieval Latin from British Sources (DMLBS) in December 2013. The collection of these contributions resulted in an impressive volume reflecting on the present state of study of Medieval Latin, in particular through British sources. The volume is a successful combination of specialised studies of the vocabulary that developed in the multilingual societies of (later) medieval England with more general reflections on the development of the Latin language in medieval Europe. The editors, Richard Ashdowne and Carolinne White open the volume with an almost sixty-page introduction (1-57) presenting the current state of research in Medieval Latin. 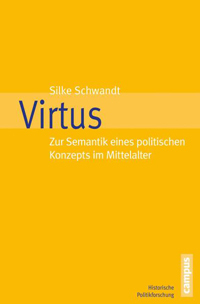 They offer a valuable study of Latin as a living language, innovative rather than conservative, varied rather than uniform, covering the "entire spectrum of human activity" (2). This introduction, though focusing on Latin in medieval Britain, perfectly serves to enhance our understanding of the most important characteristics of Medieval Latin in general and the difficulties presented to those who aim to study it. The creative phase of Latin between classical heritage on the one hand and exchange with the vernacular languages of the (later) Middle Ages on the other is informative for the entire field. The authors argue in favour of a re-evaluation of the medieval sources in which the abundant regional and social diversity of the language comes to the fore, much more so than in the surviving evidence of the "classical" period. Choosing the angle of variety and continuous graduality (33) and highlighting the 'users' ability and willingness to continue to develop the language" (32), they offer the most up to date comprehensive study of such issues as "vulgar" Latin (the definition of which is discussed on 15-16), the birth of the Romance languages, the relation between Classical and Medieval Latin (the former refreshingly presented as one of the many varieties of Latin: 21), diglossia and code-switching, the influence of Christianity on medieval Latin, and the "keen vitality" (19) of Medieval Latin through a thousand years. The accessible presentation makes the chapter invaluable material for each introductory course of Medieval Latin (or Classical Latin, or Medieval History for that matter). The volume then starts to fulfil its self-imposed objective: to study the aims, methods and results of medieval users of Latin (51) in three parts, dealing with use in different periods (Part I), use for different functions (Part II) and the relationship to surrounding languages (Part III). The themes of the three parts are spelled out in the Preface (xiv), but unfortunately not repeated at the beginning of each part or in the table of contents. Part I, following chronological order, starts with a brief chapter on the Anglo-Latin tradition. David Howlett describes the Latinisation of three insular peoples: the Britons (through Romans in the Roman era), the Irish (via Rome: Palladius, and Britain: Patrick), and the English (via the Irish mission from the North and the Gregorian mission from Rome). Interesting in this period is the position-finding of the Britons between Romans and Anglo-Saxons, expressed most pronouncedly by the historiographer Gildas. Gildas describes the Britons as cives and Romani as opposed to the (non-Christian) barbari. The sixth-century Gildas presents Latin self-consciously as "our language" (lingua nostra) as opposed to lingua eius, namely of the Saxons (62). The next chapter discusses two twelfth-century authors, William of Malmesbury and Joseph of Exeter (Neil Wright). Wendy R. Childs discusses chronicles in the long fourteenth century, asking the central question as to who mastered which language (Latin, French, English) and, secondly, what was written in Latin. Latin in her presentation comes into relief as a living language, even as a "modern language", innovatively adapting to its context (103). Part I closes with an "elephant in the room": Latin in and through the age of the Reformation. Robert Swanson discusses the reason for the DMLBS to continue until 1600 instead of 1530: the Reformation as the watershed in the linguistic history of England. His chapter includes abundant evidence (including evidence now lost) of the continuation of Latin's dominant position in fifteenth- and sixteenth-century England, even if Latin in this time reached many as passive and partly involuntary users and only a minority as active users (110). The chapters in Part II, on the use of Latin in specific functions, are more technical and, therefore, less comprehensive. The editors' choice includes law (Paul Brand), music theory (Leofranc Holford-Strevens), the ecclesiastical context (Carolinne White), and the presence of Arabic words in scientific contexts (Charles Burnett). The chapters in this part already turn their focus towards vocabulary, which is reinforced in Part III. The multilingual character of post-conquest England is strongly present in Brand's chapter, discussing Anglo-Norman French as gradually becoming the second legal language in post-conquest England (134). White's lengthy chapter deals with a large variety of genres brought in by the ecclesiastical context she focuses on. In her conclusion (192-94), she distances herself from the "Nijmegen thesis" of Christian Latin as a Sondersprache and from the approach to Medieval Latin as patristic Latin, stressing instead the continuation between Classical and Medieval Latin. The third and final part is closest to the actual work on the DMLBS and discusses in four chapters the position of Latin vocabulary in the complex multilingual situation of post-conquest England, where Old English, Medieval Latin and Anglo-Norman often form an inextricable tangle of mutual lexical influences and adaptations. Paul Russel starts with a chapter on the Latinisation of Welsh and the Cambricisation of Latin, followed by Richard Sharpe on the somewhat undefined notions of "official" and "unofficial" Latin vocabulary and the interplay between French or Old English terms with Latin (near) synonyms or replacements. Laura Wright discusses non-integrated French and English vocabulary in mixed-language documentary sources, an article that is closely related to the following chapter by the late David Trotter. The final two chapters reflect most explicitly on lexicography. Philip Durkin and Samantha Schad demonstrate with appealing examples how the revision of the Oxford English Dictionary benefits from the DMLBS, while David Howlett in the concluding chapter looks back on the making of the DMLBS. The latter chapter is useful for its list of errata (344-49), but also valuable for the approach to Medieval Latin that the author expresses through a brief autobiographical episode on how he learned to take an author (or a text or a source) seriously, and how through an open attitude, "listen(ing) to others on their own terms", beauty is found "where others discerned nonsense and disorder" (348-49). The attitude advocated by Howlett characterises the entire volume, which makes it a contribution fitting to celebrate the completion of the DMLBS after a hundred years of lexicographic work.